Petunia 'Crazytunia Mandevilla' is simply spectacular! Incredible fiery colours radiate outwards from the centres of these unique, star shaped blooms. 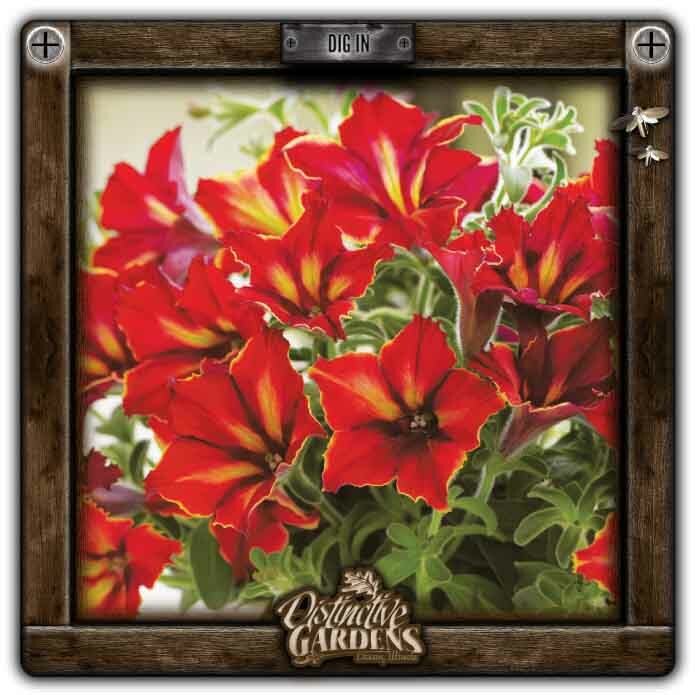 This compact, upright petunia has a robust habit and superb weather resistance.